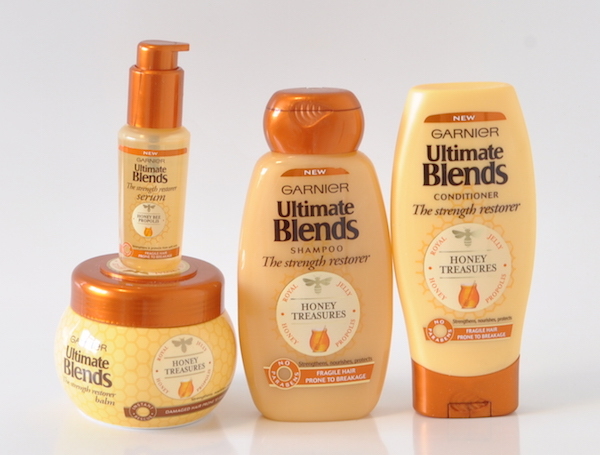 After years of waiting, Garnier has finally launched hair care into the SA market. 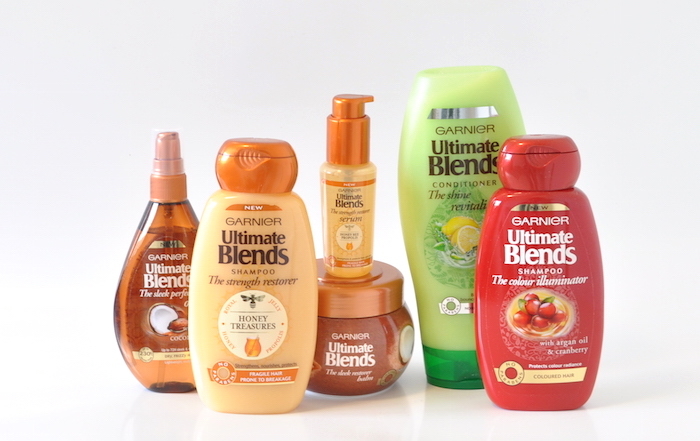 Ultimate Blends is a collection of five signature blends, each designed to target a specific hair concern or type. 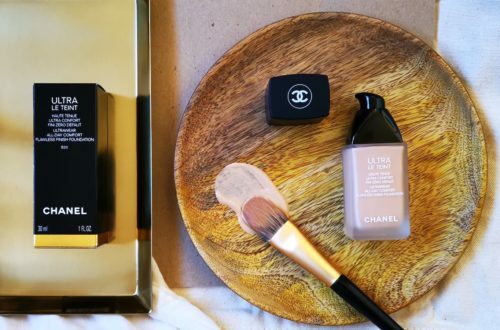 I haven’t tried any of them yet, as I’ve been testing exciting new products from Lee Stafford, as well as a new collection from natural Ozzie brand, Nak. And, as some of Blends will be too rich for my hair, I won’t be testing them all, so here’s a breakdown of what’s on offer. The Strength Restorer Honey Treasures is for damaged hair prone to breakage. The formula contains honey, Royal Jelly and Propolis for the ultimate strengthening complex. 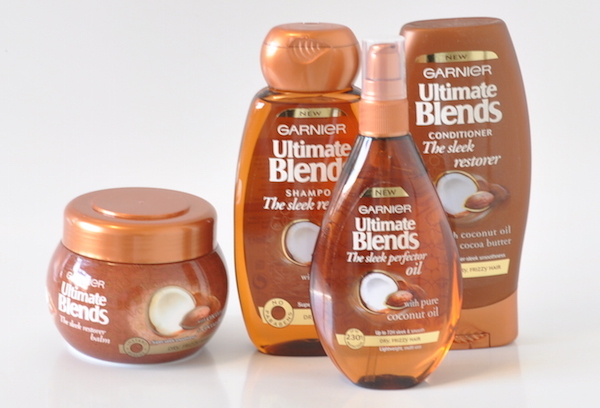 This collection contains shampoo, conditioner, mask and serum. 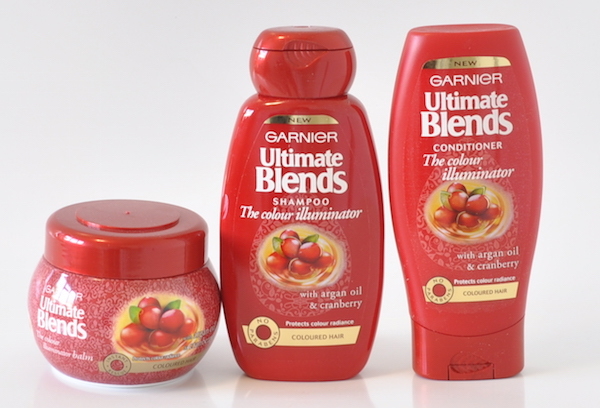 The Colour Illuminator Argan Oil and Cranberry will preserve the radiance of colour treated hair. 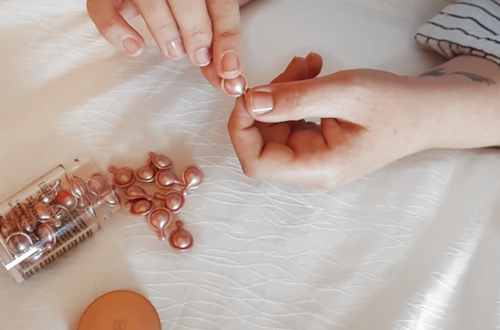 This blend contains argan oil (my all-time favourite hair oil) as well as cranberry extracts to provide further antioxidant protection. This collection contains shampoo, conditioner and a mask. 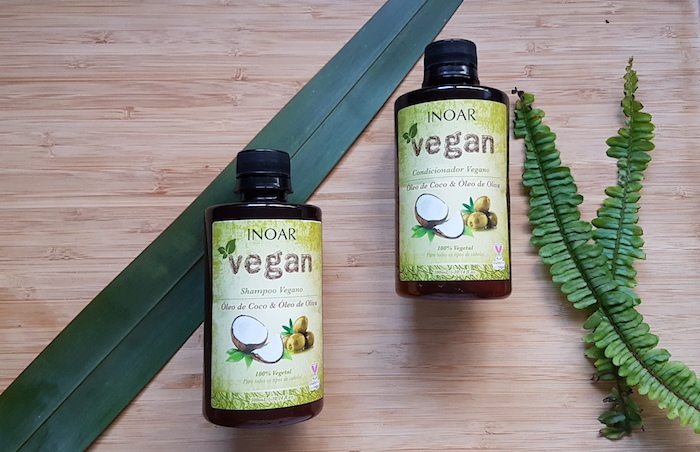 The Nourishing Repairer Avocado Oil and Shea Butter nourishes even very dry and damaged hair, contains a potent complex to repair and restore moisture and elasticity to fried hair. 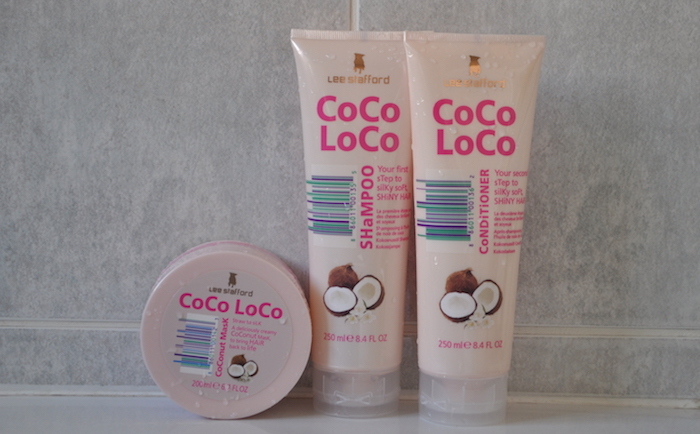 This collection also contains shampoo, conditioner and a mask. The Sleek Restorer Coconut Oil and Cocoa Butter clams dry, frizzy locks thanks to pure coconut oil and nourishing cocoa butter. This collection contains shampoo, conditioner, mask and an oil spray. 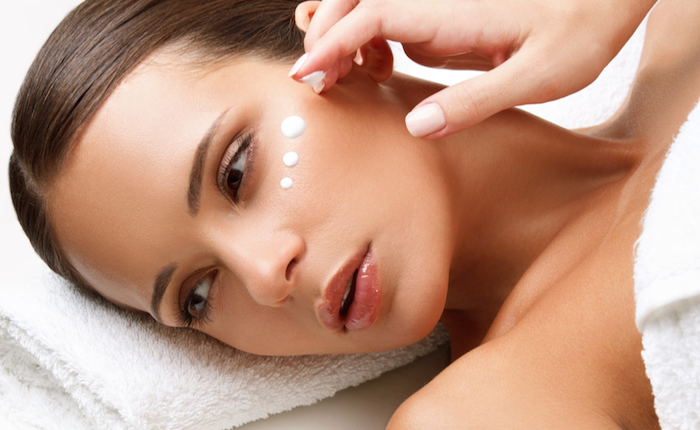 The Fresh Revitaliser is a shampoo and conditioner combo for normal hair. The formula contains nettle, eucalyptus, lemon, green tea and verbena to cleanse and revitalize the hair. Shampoo 250ml, R39.95 and 400ml, R59.95; Conditioner 200ml, R39.95 and 400ml, R59.95; Mask 300ml, R69.95; Honey Treasures Serum, R69.95 and Coconut Oil & Cocoa Butter Oil Spray, R149.95. 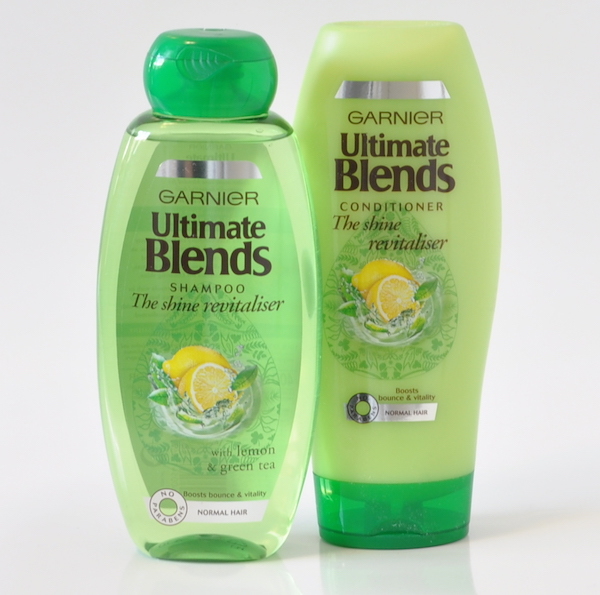 The only difference is the Fresh Revitaliser range that only comes in 400ml shampoo and conditioner, R59.95 each. 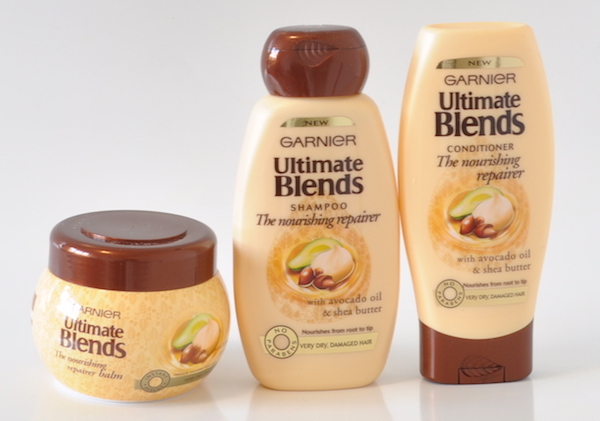 You’ll find the new Garnier Ultimate Blends at selected Dis-chem, Spar, Pick n Pay, Checkers and Clicks stores countrywide.